The world is in constant movement, there always appears something new, and sometimes great inventions go almost unnoticed. Bitcoin is one of them. Many people don’t yet realize how profound it is for the future of our economy and technological advancement alike. And all that is because Bitcoin is a decentralized currency which you can literally use as real money. But the foundation behind it is where the real technological breakthrough lies. So, there are at least three great reasons to finally embark on the Bitcoin wave. 1. Bitcoin is basically decentralized digital money. Cryptocurrency, as it is called. That means, it doesn’t rely on banks and centralized institutions to operate. It’s based on a clever technology called “block chain”. Imagine that information about how you transfer money from you to your friend is passed to everyone who uses this currency. That’s the core concept of blockchain – it’s like a decentralized ledger shared among everyone. It was pioneered by Satoshi Nakamoto, the anonymous creator of Bitcoin. What is even more important, the blockchain technology is not limited just to Bitcoin. There appeared a lot of other cryptocurrencies with huge potential, it can be used in business and banking. 2. Bitcoin is an amazing investment. Its exchange rate to USD has been continuously growing over time. It opens a great avenue for trading: just like with stock exchange, there appeared a whole new type of exchanges trading exclusively cryptocurrencies. Today, they’re becoming the stocks of the cyber era. It’s noteworthy that Bitcoin already gained some popularity in Australia, and for an Australian investor, it’s a perfect new asset. 3. The world economy is not at its best, just look at the latest news. Constant crises, financial bubbles, political conflicts and a general economic decline pose a risk to the global stability. The sense of uncertainty is growing. That means, we need some reserve financial asset just to be on the safe side. One is gold, and it has been used since very ancient times. Its qualities combined with its rarity make it universally valuable. 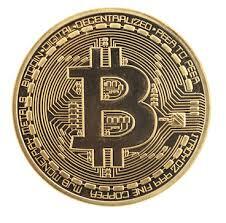 But Bitcoin with its revolutionary technology is often called the new, digital gold. New blocks of Bitcoin can be only obtained by complex algorithmic mining, which becomes increasingly difficult, hence its rarity. And since it’s independent of any financial institutions and is not tied to any real currency, it’s a perfect way to store money in case of a major collapse – one can access it as long as there are other Bitcoin users.